I make my way cautiously from the ornately decorated lobby of the exquisite hotel and follow the lavender banners that lead to the conference room. I’ve just traveled eight hours for a women’s conference, and what seemed like a wonderful idea from afar has now stirred up every insecurity in my soul. I imagine the hundreds of women who will sit among the flowery rose-colored decorations, and I wonder if I’ll make a friend, if I’ll fit in, or if this will feel strangely similar to the first day of school in the junior high cafeteria. I wonder if my shirt is too wrinkled, my pants too tight, and my carefully curled hair too frizzy in the Carolina humidity. I’m heading toward the registration table, wondering why in the world I thought it was a good idea to undertake this adventure all alone, when I remember to pray. It seems I’ve forgotten all about prayer as I’ve lost myself in my self-conscious revelries. 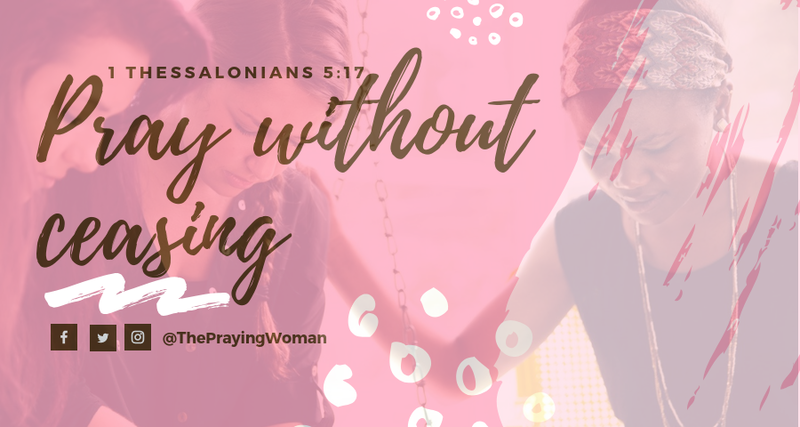 I wonder if this is how it is for other women: We wake up and have conversations with God about praying unceasingly, but when the wide world feels like too much – when we feel too small – we get lost in our own self-conscious thoughts. When we’re afraid of not fitting in, what if we stopped worrying about wearing masks and instead, paused to pray? We might offer one of the following prayers to align our hearts with the heart of the Father and realign our priorities with his priorities. We might shift our eyes off of ourselves and remember the higher calling: to look for someone to love. As I walked cautiously toward the beautiful women at the conference registration table, I was gently reminded that the calling of my life is always centered on loving God and loving others. 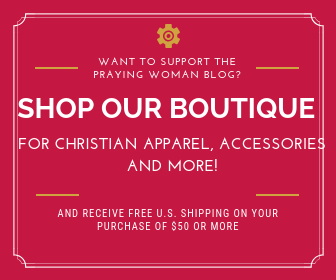 Stopping in my tracks, I paused to ask God for eyes to see the needs of the women around me. This single prayer reframed my entire weekend. When we pray for God’s eyes – for his discernment – as we cross the paths of other people, he will show us the needs surrounding us. We will no longer be blinded by self-focus and will notice a glint of sadness, loneliness, or insecurity in the face of another person. This is how we position our hearts to show up and love others right where they’re at: We stop gazing at ourselves and live purposefully as we take time to truly listen to and love other people. While it can be obvious to determine the way another person needs to be encouraged, God knows what we can’t see on the surface. He knows about the coworker who simply needs a friend, the lonely cashier whose day might be rescued by a single compliment, or the tired mom who is desperate for just a few minutes of adult conversation. Pray God will show you how to encourage the people he sets before you. You will soon find that the anxiety-inducing social situation becomes an exciting journey of loving others alongside your heavenly Father. We aren’t free to love others from a pure and selfless source of love until we grasp the truth that their approval isn’t what matters most. When I’m afraid I might say the wrong thing or embarrass myself, my concerns rest on attaining the approval of others – of making sure they like me. Adversely, when I grasp that my core identity is firmly fixed on the fact that I am unconditionally loved by my Father in heaven, I don’t need to fear looking foolish in the eyes of others; I have gained the approval of the only One who matters. This love sets me free to love others without fear and live with an outward gaze. My weekend at the conference was rich, joy-filled, and deeply encouraging. I walked away with dozens of new friends and a full heart, not only because the speakers were eloquent or the worship was spirit-moving; I walked away with a full heart because in listening to and loving other women with an outward focus, I was filled to overflowing in the process. Stacey is a lover of the woods, a passionate and imperfect follower of Christ, the mother of two blue-eyed children, the wife of Darrell, and much more. She writes weekly at www.staceypardoe.com.